Spain national team coach to the 1998 World Cup in France, Javier Clemente has blasted Super Eagles skipper John Mikel Obi for asking Croatia coach Zlatko Dalic to play his regulars against Iceland. According to reports, Dalic could rest players like Luka Modric, Ivan Rakitic, Ivan Perisic and Mario Mandzukic. Super Eagles captain had called on Dalic to show sportsmanship and field his best players against Iceland. Iceland could qualify ahead of Nigeria and Argentina if they beat Croatia by a wide margin and the Super Eagles and Argentina draw. The Spanish coach who was the head coach at Spain in France 1998 when they crashed in the group stage, recalled how Nigeria made them crash out. At the 1998 World Cup, Spain lost 3-2 to the Super Eagles in their opening group game, and needed Nigeria to avoid defeat Paraguay while Clemente’s team had to beat Bulgaria to progress into the round of 16. 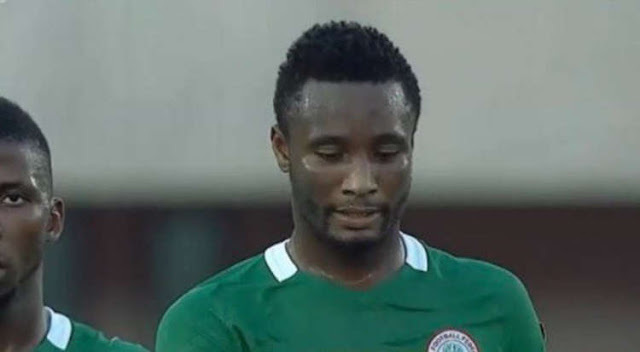 But having already qualified for the round of 16 following wins against Spain and Bulgaria, Super Eagles key players like Austin Okocha, Victor Ikpeba, Okechukwu Uche, Celestine Babayaro and Mutiu Adepoju were all rested against Paraguay. Paraguay went on to beat the Eagles 3-1 and progressed, while despite thrashing Bulgaria 6-1, Clemente’s Spain crashed out. In a post on his Twitter handle on Sunday, Clemente said: “Obi Mikel of Nigeria asks Croatia for sportsmanship and wants them to plays with the regulars.